2019 is right around the corner, which means it’s time for Day Zero’s rebirth. Created by Damian Lazarus as the Mayan Calendar ended in 2012, its intention was to be a marriage of top dance music and spiritualism — amplified by the jungles of Tulum surrounding it. The event took a brief break the year before, making its return even more exciting among fans. This year is truly the start of a new, stronger era for the brand. Historically a one-stage affair, it’s now expanding two for even more distinguished moods and further exploration of the wide campus’ many carefully-interwoven art installations and environments. 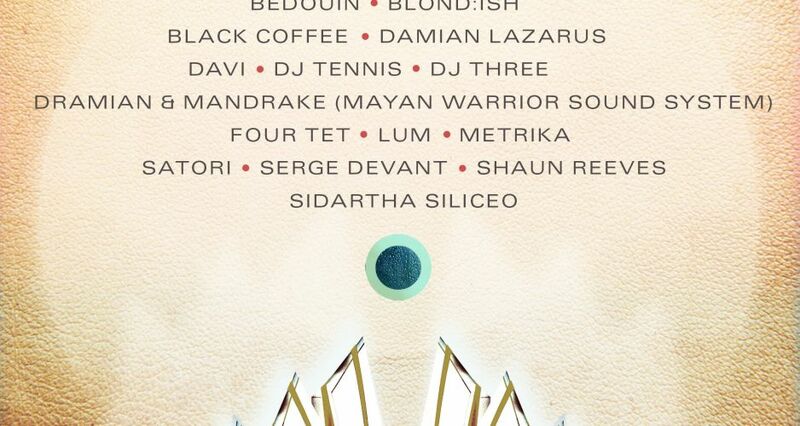 The event has also completed its lineup, with the Grammy award nominee Four Tet making his Day Zero debut, along with Visionquest founder Shaun Reeves, DJ Three, and Burning Man staples Mayan Warrior Soundsystem. These four join an already impressive slate of talent which boasts the likes of DJ Tennis, Black Coffee, Metrika, and other distinguished guests.